Set on a 500-acre country estate, this upscale, dog-friendly hotel in a Georgian mansion is 1.6 miles from Dogmersfield village and 6 miles from Farnham Castle. Located in the Hotel's 18th-century stable block, the Spa at Four Seasons Hotel Hampshire creates truly relaxing spa experiences using natural products from world-renowned spa brands Sodashi and ESPA.There's a heated indoor/outdoor pool and a fitness centre. 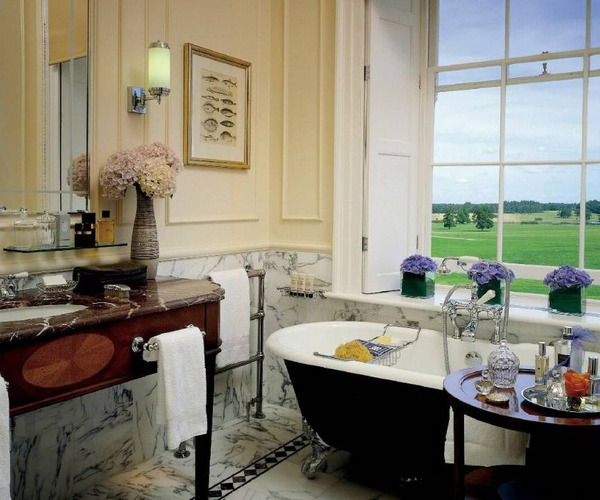 Dining options include a fine-dining restaurant, a refined bar with a fireplace, and a library offering afternoon tea. Other amenities include a treetop zipline course and bike rentals, plus activities such as tennis, horse riding and fishing. Located in the Hotel's 18th-century stable block, the Spa at Four Seasons Hotel Hampshire creates truly relaxing spa experiences using natural products from world-renowned spa brands Sodashi and ESPA. Enjoy a state-of-the art gymnasium, a variety of fitness classes and spa services in our 15 treatment rooms and a wide selection of indoor and outdoor activities. 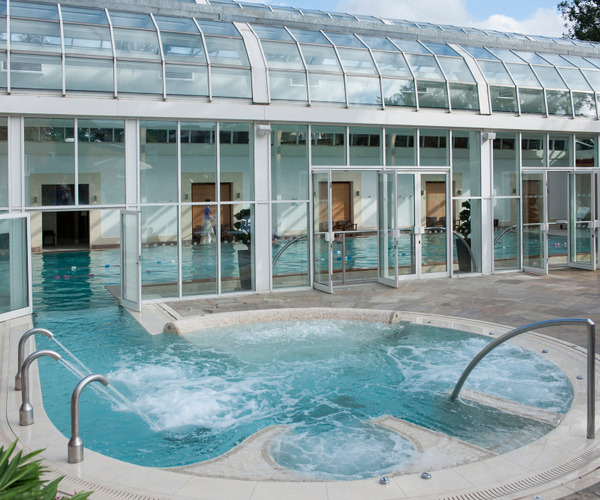 Swim in our 20-metre (66-foot) indoor pool and our invigorating outdoor vitality pool, cycle through the property's 500 acres and take advantage of the Hotel's two all-weather tennis courts. The Hotel’s superb restaurant and bar offerings reflect our commitment to local produce and country elegance.The restaurant and Salon Privé, the adjacent semi-private dining room for up to 24, offer seasonal French-European cuisine locally sourced, with some ingredients taken from the Hotel's estate. The Bistro is a more casual atmosphere featuring homestyle dishes that use local produce and ingredients from the Hotel's estate.